Should we be worried about the health issues that might be caused by 5G? Clearly written by someone who confuses science with opinion. I struggle to believe they can offer 1TB per month at same costs. That was my immediate reaction too. It might be technically capable, but at what cost, and with what restrictions and T&Cs. However .... it does remind me, ring Virgin and either get my monthly (out of contract minimum period) cost reduced, or quit and find a cheaper alternative, probably without the TV option, much of which is garbage anyway. No, just the usual pseudoscientific crap around radio people have been peddling for years. WRT the OP, just a marketing push we've heard time and time again - maybe an alternative for those who aren't particularly heavy users and/or who only really access the Internet through a mobile device, but that's been realistic for years anyway with 4G and possibly earlier than that for some. It's not like Three offer a fixed-line product they'd rather have people on. The realities of the shared medium that is radio spectrum is and will remain a limiting factor and hence data caps on mobile plans. Pure radio waves, in a vacuum, might, but a radio communication system has a whole load of stages in it that aren't. Note: For the purist, "air" isn't a vacuum but it is close enough to it for radio wave speed in air to be effectively the same. But put an office block, or a mountain, between transmitter and receiver and you might end up with no connection at all on that system. Granted you have good coverage, 4G is good enough to game, i have been places where latency is less than 25ms. I don't see 5G would be worse. I wonder what would make it go up any further. You clearly haven't downloaded any Star Citizen patches, lately...!! You mean the usual pseudoscience people have been using to justify peddling home-made crap... Look at the links - It's all basically new versions of the good old tin foil hat. That is for what they require your buy-in, products not perspectives!! The irony of dismissing established science and trusting some random character on the Internet is clearly lost on said individuals. The Internets isn't always right? Next you'll be telling me I can't trust Fox News. Wait a sec .... right, I'm stood carefully, hanging on for support in csse the planet wobbles on it's axis ..... the net can't be trusted?? The tooth fairy? Come on, let me have it straight. I'll remain sceptical until it's actually deployed and most people have 5G devices saturating the network, and we can tell what all the caveats are. My old man uses his 4G smartphone in hotspot mode for internet, and I can tell you that between 5pm and 8pm, his internet comes to a complete crawl. Wow that's amazing so the UK's 3g smart meter network will magically start using 5g, better tell my boss at the smart meter manufacturer I work at, they'll be thrilled their getting an upgrade for free! Shungite - basically high grade coal! What a load of piffle - ne fule kno that the only protection is to carry a vial of 10,000,000 time diluted silver solution - diluted while exposed to the light of a full moon (that last bit is critical). 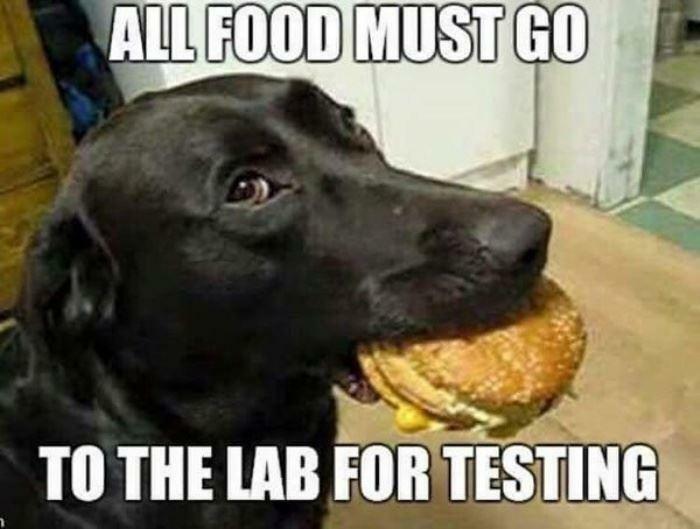 This is fully certified by my neighbour's dog - so a lab report can be supplied. I can also supply a cat scan of the product when the other neighbour's pet stops mouse catching for a moment. This is fully certified by my neighbour's dog - so a lab report can be supplied. "Can't eat black stuff. Can't fight black stuff. Black stuff smell funny. Brilliant! Dog love black stuff."